HUF’s footwear programme has been gaining momentum steadily for a good few years now, but it was the fairly recent introduction of new pro models which has brought a new dimension to the line. The latest of which is the forthcoming Ramondetta Pro; a low-profile vulcanised number which looks set to be a future kingpin of the HUF collection. Peter Ramondetta has been one of the skaters I’ve most enjoyed watching over the past few years (mainly because he definitely carries the sort of steez I wish I did on a board), so I was very happy to see him join the HUF footwear team towards the end of last year. For those of you not familiar, his 60 Minutes In The Park Transworld edit is worth a watch. 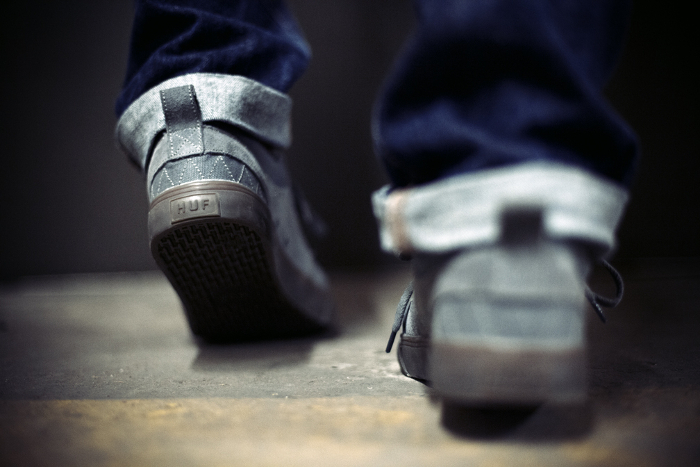 His HUF Pro model has already caught some attention for perhaps taking a few design cues from the Janoski – but if something so simple works so well, why mess with it? 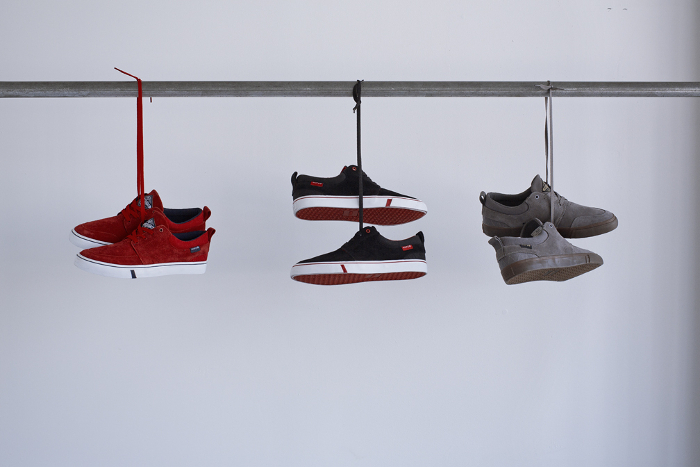 It’s available in three suede colourways (red, black and grey) with a contrasting sole and other highlights on the tongue, top eyelet and HUF flag label. If we’re talking tech specs, the Ramondetta Pro has an asymmetrical toe box to make it more flexible, along with a reinforced ‘ollie pad’ and extra wrap on the midsole for added durability. 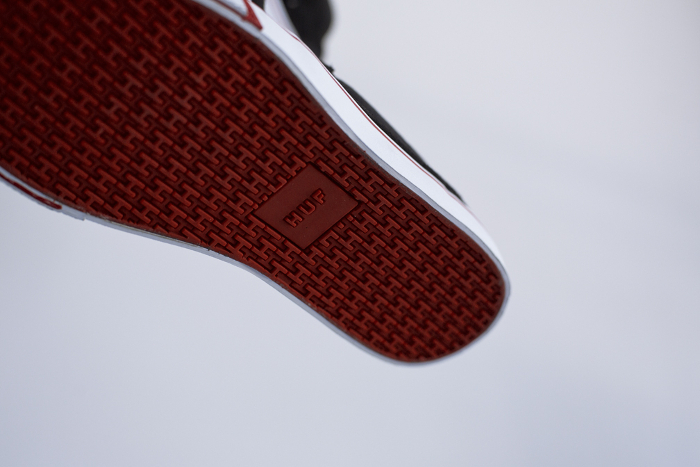 Inside, the shoe is cushioned with a custom StratusFoam HUF insole for comfort and support, and the outsole features the brands ‘H’ patterned tread. The Ramondetta pro will be available in the three introductory colourways from HUF stockists in the UK in the coming weeks, along with a full Fall clothing collection. 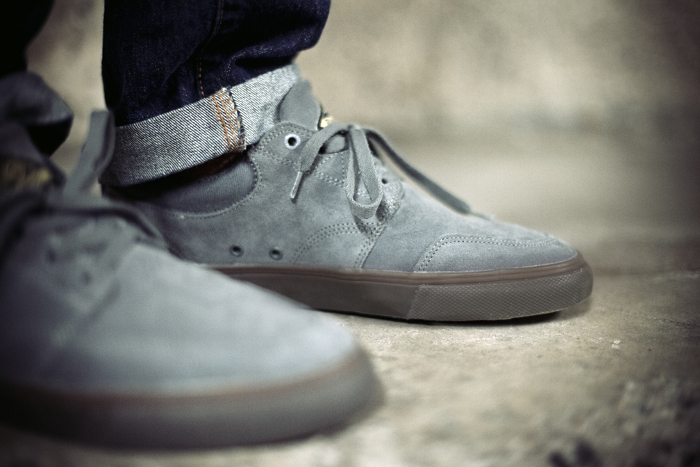 Take a look at some previews and a closer look at the grey/gum colourway below.